We are getting excited for the Christmas In July Art Gallery! Since the CIJ team is worldwide we are going to open a virtual #CIJArtGallery right here on our blog! The art gallery opens on Wednesday – January 28th. As I mentioned the team is international and we are excited to share with you many talented artists from all over the world! 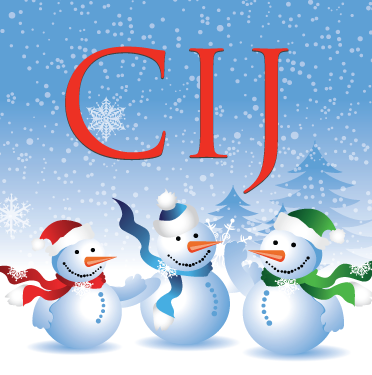 As a member of the CIJ team there is a way for you to get involved today before the fun begins on Wednesday. Please go to the CIJ forums and there is a thread that explains all the specifics! We want to include as many of our talented team members as possible! So far the following artists have submitted their work: Kel from ColourscapeStudios, Helen from hjmArtGallery, Christine from modernimpressionist, Pamela from GraciousArt and Susan from SSFDesigns! We’re looking for additional artists to join the art gallery! If you are not a member of the team please feel free to join the team today! Otherwise you will have to wait until Wednesday to see what we have planned! Please use #CIJArtGallery on social media as you enjoy the art gallery with us! Want a sneak peek of one of the artists who is going to be featured? Kel from ColourscapesStudios lives in Australia! Come meet Kel on Wednesday! Thank you Kel for participating! So mark your calendars, invite your friends, and get ready to participate in an art gallery! A #CIJArtGallery!